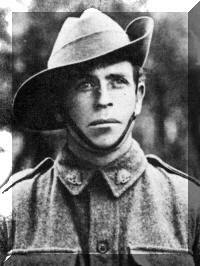 3-Arthur Ernest Goss was born on 28 Jan 1890 in Westbury, Tasmania and died on 15 Feb 1958 at age 68. Her served in the First World War. Arthur married Minnie Coral Crack, daughter of Walter Raleigh Crack and Mary Margaret Maria Harman, on 12 Oct 1921 in Barrington, Tasmania. Minnie was born on 28 Dec 1904 in West Kentish, Tasmania. Arthur Ernest Goss returned from war service to settle in the Barrington area. He married Minnie Coral Crack, sister to Hazel Daphne, and the couple had 17 children. As with her mother-in-law Elizabeth before her, Minnie's path through life has been hard. She lost her mother when only six years of age, married when very young, bore 17 children, and had the additional burden of caring for a husband who had become an invalid at a comparatively early age. Arthur had not only suffered from war wounds, but had contracted arthritis, and finally left Minnie a widow when she was 54 years of age. Her youngest child, then six years old, was blind, and the second youngest was also physically handicapped, spending three and a half years in St. Giles' Hospital. At maybe five feet and six and a half stone, Minnie Carol exemplified the old saying that precious things come in small packets. As this book goes to print she is living at Tandara Lodge, 84 years of age and a delightful Christian lady; a joy and honour to the clan she joined. Since no Danish warrior of old Norfolk would have endured more hard knocks with more cheerful hardihood, her clan deems it appropriate to accord a Christian lady the salutation a page Dane would have accorded an honoured comrade: Skoal to Minnie Carol, Viking! Lambert Gordon Goss returned from the war and wed Vera Bertha Semolina Moore. Shades of the good old Semolina pudding, recalled by older cousins as one of life's little luxuries when times were hard! Vera's father was Thomas Moore, not to be confused with the Irish poet of that name who fought the duel with another poet Lord Byron, acquiring a lame leg and a lifelong friend in the process. Vera's Thomas Moore operated a wood yard in Devonport in the 1920's. Vera and Lambert had two children of whom the eldest, Gordon, is believed to have died young. Their daughter, Dorothy, had a somewhat unsettled life after her parents' marriage broke down, and had the further misfortune to contract polio at age nine, while staying with her maternal grandparents at Devonport. Although a semi-invalid for many years, Dorothy married John MacNamara and produced two daughters and a son. Dorothy spent her married life at Ulverstone, and now lives at Mount St. Vincent nursing home in Ulverstone. 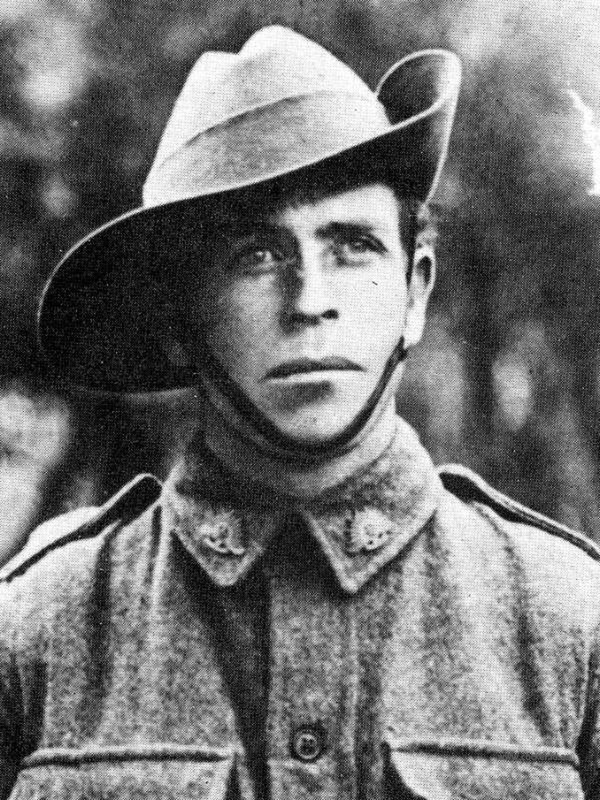 Brothers: 202 Pte Henry Herbert GOSS, 40th Bn, returned to Australia, 8 January 1919; 2095 Pte Alfred James GOSS, 40th Bn, returned to Australia, 12 May 1919; 3966 Lance Corporal Frank GOSS, 52nd Bn, returned to Australia, 26 September 1917; 6518 Pte George GOSS, 12th Bn, effective abroad (still overseas); 3967 Pte Lambert Gordon GOSS, 1st Pioneer Bn, returned to Australia, 4 May 1917. 4-Jean Margaret Goss was born on 13 Feb 1922. Jean married Max Hilton Keen, son of Walter Roy Keen and Laure Irene Gay. Max was born on 26 Mar 1919 in the Edinburgh Hospital, Hobart. They had two children: Peter Maxwell and Maxine Gaye. 5-Peter Maxwell Keen was born on 30 Nov 1950. Peter married Wendy Anne Byard, daughter of Albert Andrew Byard and Daphne Olivia James, on 2 Dec 1972 in Devonport. Wendy was born on 19 Mar 1951 in Devonport. 5-Maxine Gaye Keen was born on 12 Feb 1952. Maxine married Colin Russell Smith. Colin was born on 8 Sep 1951. They had three children: Garry David, Timothy Paul and Kelly Jean. 6-Garry David Smith was born on 22 Jun 1977. 6-Timothy Paul Smith was born on 17 Nov 1979. 6-Kelly Jean Smith was born on 30 Jan 1985. 4-Dolly Mae Goss was born on 30 Apr 1923. Dolly married Walter Roy Keen, son of Walter Roy Keen and Laure Irene Gay. Walter was born on 16 Aug 1916. They had four children: Gaye Eugenie, Cherylene Anne, Walter Roy and Allan John. 5-Gaye Eugenie Keen was born on 4 May 1944. Gaye married Darrell Burns. Darrell was born on 12 Aug 1943. They had two children: Grant and Melinda. 6-Grant Burns was born on 8 Mar 1968. 6-Melinda Burns was born on 19 Oct 1971. 5-Cherylene Anne Keen was born on 9 May 1948. Cherylene married Wayne Mervyn French, son of Cyril Mervyn French and Evelyn Ellen Woodcock. Wayne was born on 16 Mar 1946. They had two children: Dean Peter and Evan James. 6-Dean Peter French was born on 30 Jul 1979. 6-Evan James French was born on 28 Jan 1985. 5-Walter Roy Keen was born on 28 Feb 1950. Walter married Miriam Knowles. Miriam was born on 11 Oct 1952. They had four children: Benjamin, Joshua Richard, Simon Peter and Levi Andrew William. 6-Benjamin Keen was born on 21 May 1980. 6-Joshua Richard Keen was born on 9 Sep 1981. 6-Simon Peter Keen was born on 4 Jan 1983. 6-Levi Andrew William Keen was born on 6 Feb 1987. 5-Allan John Keen was born on 16 Nov 1960. Allan married Colleen Woolley, daughter of Robin Woolley and Ruby Maude Goss. Colleen was born on 17 Jun 1960. They had three children: Francis, Dale John and Rebecca Jane. 6-Francis Keen was born on 17 May 1978. 6-Dale John Keen was born on 25 Nov 1981. 6-Rebecca Jane Keen was born on 9 Mar 1987. 4-Lawrence Arthur Goss was born on 1 Jun 1924. Lawrence married Dora Grace Dawkins. Dora was born on 26 Jul 1931. They had eight children: Judith Christine, David Lawrence, John William, Michael Richard, Paul Arthur, Tony Philip, Cathi Anne and Jody Raymond. 5-Judith Christine Goss was born on 21 Jul 1948. Judith married Philip Sheehan. Philip was born on 5 Aug 1946. They had three children: Jamie, Natalie and Mathew Philip. 6-Jamie Sheehan was born on 30 Aug 1968. 6-Natalie Sheehan was born on 30 Oct 1969. 6-Mathew Philip Sheehan was born on 26 Nov 1971. 5-David Lawrence Goss was born on 25 May 1950. David married Gaye Geraldine Reynolds. Gaye was born on 8 Mar 1953. They had four children: Timothy David, Tania Michelle, Jason Richard and Bradley Damien. 6-Timothy David Goss was born on 6 Nov 1967. 6-Tania Michelle Goss was born on 14 Apr 1971. 6-Jason Richard Goss was born on 14 Aug 1972. 6-Bradley Damien Goss was born on 22 Nov 1977. 5-John William Goss was born on 28 May 1955. John married Margaret Steers. Margaret was born on 2 Nov 1953. They had one daughter: Melissa Jane. 6-Melissa Jane Goss was born on 30 Jul 1983. 5-Michael Richard Goss was born on 7 Sep 1956. 5-Paul Arthur Goss was born on 9 May 1958. Paul married Kathy McCarthy. Kathy was born on 16 Jan 1959. They had two children: Ricky Paul and Adam Leigh. 6-Ricky Paul Goss was born on 16 Jun 1977. 6-Adam Leigh Goss was born on 28 Apr 1980. 5-Tony Philip Goss was born on 4 Aug 1959. Tony married Bronwyn Riley. Bronwyn was born on 12 Nov 1959. They had one daughter: Hayley Marie. 6-Hayley Marie Goss was born on 24 Mar 1982. 5-Cathi Anne Goss was born on 9 Jul 1960. Cathi married Brendan Branch. Brendan was born on 13 Jul 1959. They had one son: Joshu James. 6-Joshu James Branch was born on 8 Jan 1984. 5-Jody Raymond Goss was born on 12 Mar 1970. 4-Faye Elizabeth Goss was born on 12 Sep 1925. Faye married Leslie Jackson. 4-Vena Mary Goss was born on 6 Jul 1927. Vena married Kenneth William Byrne. Kenneth was born on 24 May 1927 and died on 11 Mar 1968 at age 40. They had three children: Russell Anthony, Robyn Louise and Janine Linda. 5-Russell Anthony Byrne was born on 18 Mar 1959. 5-Robyn Louise Byrne was born on 21 Jan 1961. Robyn married Darrel Hall. Darrel was born on 17 Feb 1958. 5-Janine Linda Byrne was born on 23 Feb 1963. 4-Edna Merle Goss was born on 4 Sep 1928 and died on 29 Sep 1975 at age 47. 4-Trevor James Goss was born on 8 Sep 1930. Trevor married Margaret Janet Martin. Margaret was born on 2 Nov 1936. They had three children: Julie Elizabeth, Andrew James and Peter Mathew. 5-Julie Elizabeth Goss was born on 7 Mar 1955. Julie married Wayne John Foster. Wayne was born on 16 Aug 1949. They had two children: James William and Courtney Elizabeth. 6-James William Foster was born on 20 Sep 1982. James married Courtney Elizabeth Foster, daughter of Wayne John Foster and Julie Elizabeth Goss. Courtney was born on 21 Oct 1985. 6-Courtney Elizabeth Foster was born on 21 Oct 1985. Courtney married James William Foster, son of Wayne John Foster and Julie Elizabeth Goss. James was born on 20 Sep 1982. 5-Andrew James Goss was born on 25 Oct 1961. Andrew married Joyce Webb. Joyce was born on 17 Oct 1961. 5-Peter Mathew Goss was born on 19 Apr 1964. 4-Ronald Walter Goss was born on 26 Oct 1932. Ronald married Beverley Margaret Ackroyd. Beverley was born on 22 May 1939, died on 16 Apr 2009 in Fred French Nursing Home, Newstead, Launceston, Tasmania at age 69, and was buried on 22 Apr 2009 in Carr Villa Cemetery, Launceston, Tasmania. They had three children: Valma Joyce, Stephen Trevor and Karen Johnson. 5-Valma Joyce Goss was born on 17 Aug 1956. Valma married David John Binns. David was born on 5 Jul 1954. They had three children: Kelly Anne, Nichole Joy and Jonathon David. 6-Kelly Anne Binns was born on 27 Jun 1976. 6-Nichole Joy Binns was born on 3 Jan 1980. 6-Jonathon David Binns was born on 3 Mar 1982. 5-Stephen Trevor Goss was born on 14 Mar 1960. 5-Karen Johnson Goss was born on 17 May 1962. 4-Bruce Goss was born on 13 Jan 1934 and died on 15 Sep 1972 at age 38. Bruce married Lenna Thurley. Lenna was born on 2 Mar 1939. They had three children: Christine, Lynette and Larry. 5-Christine Goss was born on 16 Nov 1954. Christine married Michael Medhurst. Michael was born on 17 May 1954.5-Lynette Goss was born on 17 May 1957 and died on 4 Oct 1958 at age 1. 5-Larry Goss was born on 26 Feb 1961. Larry married Jann Maxwell. Jann was born on 13 Feb 1967. They had two children: Marcus and Troy Quentin. 6-Marcus Goss was born on 2 Jun 1982. 6-Troy Quentin Goss was born on 17 Mar 1984. 4-Edward Charles Goss was born on 21 Jul 1936. Edward married Maud Glover. Maud was born on 29 Oct 1943. They had four children: Kenneth Edward, Melissa Jane, Nigel Lewis and Helen Mary. 5-Kenneth Edward Goss was born on 28 Sep 1965. 5-Melissa Jane Goss was born on 2 Feb 1967. 5-Nigel Lewis Goss was born on 14 Sep 1969. 5-Helen Mary Goss was born on 26 May 1971. 4-Ivy Coral Goss was born on 6 Oct 1937 and died on 8 May 1976 at age 38. Ivy married Leslie Walker. Leslie was born on 28 Feb 1924 and died on 10 Jul 1982 at age 58. They had two children: Wendy Coral and Peter. 5-Wendy Coral Walker was born on 23 Jul 1960. Wendy married Geoffrey Burr. Geoffrey was born on 25 Dec 1959. They had three children: Melissa Coral, Jason Albert and Marcus Peter. 6-Melissa Coral Burr was born on 20 Feb 1980. 6-Jason Albert Burr was born on 22 Jul 1981. 6-Marcus Peter Burr was born on 9 Dec 1984. 5-Peter Walker was born on 6 Apr 1963. 4-Kevin John Goss was born on 24 Feb 1939 and died on 17 Oct 1954 at age 15. 4-Lloyd William Goss was born on 5 Nov 1940. Lloyd married Sally Andrea Deverell. Sally was born on 20 Feb 1950 and died on 15 Jul 1972 at age 22. They had two children: Shane and Lloyd Arthur. 5-Shane Goss was born on 1 Mar 1969. 5-Lloyd Arthur Goss was born on 26 Sep 1970. Lloyd next married Regina Bravo. Regina was born on 6 Jan 1940. 4-Rex George Goss was born on 1 Oct 1943. Rex married Lorraine Joy Pleiffer. Lorraine was born on 13 Sep 1945. They had one daughter: Leanne Joy. 5-Leanne Joy Goss was born on 12 Jun 1964. 4-Margaret Anne Goss was born on 31 Aug 1945. Margaret married Maxwell John Goss, son of Henry Herbert Goss and Hazel Daphne Crack. Maxwell was born on 26 Oct 1943. They had one daughter: Shelley Anne. 5-Shelley Anne Goss was born on 6 Aug 1965 and died on 25 Oct 1977 at age 12. 4-Terry Robert Goss was born on 16 Mar 1947 and died on 28 Dec 1964 at age 17. Terry married Lynn Hitchcock. 4-Peter John Goss was born on 19 Apr 1950 and died on 5 Aug 1983 at age 33. Peter married Gayle. They had four children: Leanne, Christopher, Corrie and Jacqueline.